I am frist time play minitokyo. thank 2 hotmail 2 me . now just c this scan...r so nice! Oh, my goodness. I have only seen this picture in a 400x300ish resolution. And I always wanted to see a bigger one. You have no idea how happy I am righ tnow. 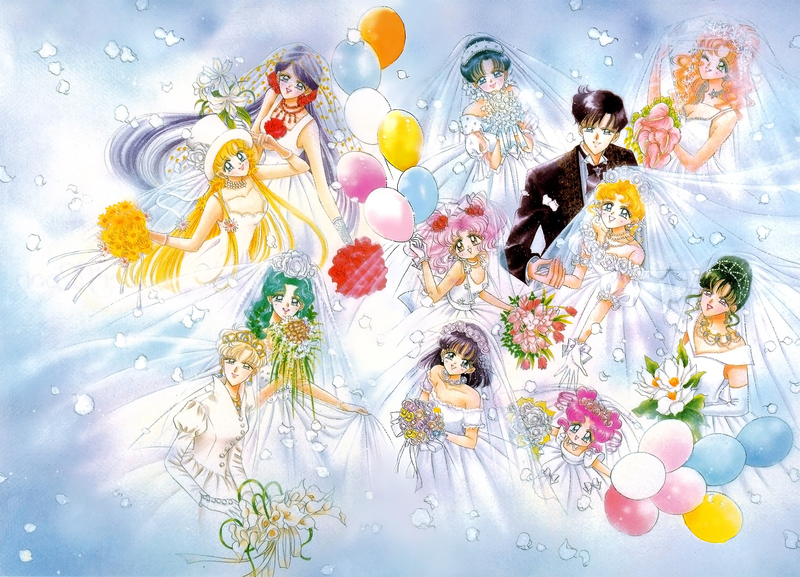 I really wanted to see all the different wedding dresses the senshi were wearing. Now I can! Thanks! Great picture! Everyone looks more pretty than normal. :D Thanks.